1 Bottle Lasts up to 60 Days! Don't settle for imitations, synthetics or other formulas diluted with green tea, acai berry and other ingredients that can dilute the effect of Raspberry Ketones. Our product is 100% pure and NATURAL and contains 250mg of Raspberry Ketones PER CAPSULE. We recommend only ONE (1) a Day and no more than 2 a day. Want to lose weight AND reshape and tighten skin? Check out RK ULTRA LEAN! Dr. Oz recently outlined the amazing fat burning benefits of Raspberry Ketones on an episode of his show, touting it as a "weight loss miracle" This powerful fat burning supplement has taken the world by storm and is considered to be a groundbreaking leap forward in weight loss. Research has shown that Raspberry Ketone is considered to be one of the safest and most natural supplements to assist in weight loss and/or weight management program. In tests on mice, amazing reduction in fat with RK happened even on a high fat diet. Since Raspberry Ketones have been clinically tested and shown to help break down and burn fat, can you imagine what could happen by improving the diet and adding exercise! Raspberry Ketone has been classified as safe and effective with no side effects. 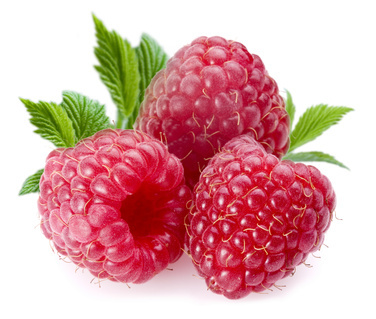 Raspberry Ketone is the primary aromatic compound of red raspberries (Rubus Idaeus and regulates Adiponectin, a hormone that causes the body to boost metabolism. In turn, the fat within the cells gets broken up more effectively, helping to body burn fat faster and more efficiently. A decrease of this hormone in the body is thought to be one of the main reasons for obesity and other diseases. The increased production of this hormone speeds up your body's metabolism and increases lipolysis (fat breakdown) in the body. A clinical study from 2004 showed that mice that were fed a high fat diet with Raspberry Ketone literally melted fat, increased resting metabolism, and lost fat with no change in their diet. The same results were not found in mice that were fed a high fat diet without the Raspberry Ketone. In order to get enough ketone to have an effect on the way the body burns its excess fat, a person would need to consume 90 pounds of raspberries! Each RK 250 capsule contains 250mg of 100% pure RK, only 1 capsule 2 times a day is enough to help get the body efficiently burning fat! The Raspberry Ketone capsules are the highest quality available and do not include green tea or any other ingredients that would dilute its effect. This gives you the ability to customize and include other supplements to a Raspberry Ketone Diet. Raspberry Ketone provide extremely high anti-oxidants and raspberry ketone are in a completely natural form in RK 250 capsules and the Oil Free Raspberry Ketone Body and Face Lotion. Recommendations: Take 1 capsule a day with adequate liquid. May take up to 2 a day if desired.